Buying property can be a great investment. However, much of that is reliant on the property owner keeping up with all the maintenance issues that can arise. Are you doing everything you need to maximize your profits and minimize liability? You may have heard that the best investment is land. After all, pundits say, they’re not making any more of it. Where you buy land will impact how much you can earn, as land valuation varies greatly by region. Since we’re focusing on maintaining properties as opposed to buying them, we’ll spare you the “location, location, location” rule of businesses, properties, and land investments. Instead, let’s look at what you can do to make sure those rents and property values continue trending upward, regardless of where they’re located, as well as discuss why maintenance is so vital. There are three reasons why it’s important for you to maintain your properties: value, costs, and legal responsibilities. Your properties represent an investment. In this case, those investments require a bit of diligence and upkeep. For your investment value to increase and for whatever rents you’re collecting to also increase, you need your properties to look good and work well. This includes adequate plumbing and electrical wiring, testing for and removing mold, and so many other things. Looking good is also important, especially when renting. A fresh coat of paint won’t cost much, but it could add a significant sum to your bottom line. Focus on including woodwork that shows off the natural beauty of the wood, molding that’s mold-free, carpeting that has more decorative elements than stains, and other elements that can make the property more appealing. Regular maintenance on buildings will ensure that small problems remain small and not spiral out of control, keeping costs down in the long run. A property that’s slowly coming undone will be harder to rent, but it will also cost much more to repair if those issues aren’t handled in a timely fashion. Imagine a small leak from a faucet. Not a big deal … until it becomes a big deal. Water damage is no joke and, unless there’s a flood, can likely be avoided by fixing things immediately. For some property owners, it’s easier and wiser to get outside help from a property maintenance company. This not only will aid in getting jobs done right and in good time, but it also reduces your liability should that maintenance result in further issues. Don’t hold property in your name. Set up a legal entity instead. Make sure your property is properly insured, and this includes property damage and liability. Use airtight leases that can’t be challenged. Provide any legal disclosures to tenants when they sign the lease. When you don’t maintain your properties, and especially when you’re also not properly insured, you open yourself up to all sorts of trouble. There are also some great reasons why you should have a property lawyer making sure your liability is minimized. Kitchens and bathrooms are high-use, high-traffic areas in any home or building, and they are typically the first to get noticed by new tenants. Upgrading these two areas will go a long way to renting them out and keeping them rented. Shiny fixtures are easily noticed, oftentimes cheap to purchase, and simple to install, as are cabinets, mirrors, and other little odds and ends. Investing a small amount by upgrading these features can add up to a whole new shiny look that draws the admiration and interest of renters. If going for bigger upgrades, you can also put in new flooring, update and replace appliances, and install granite or marble countertops. Restoring and polishing concrete floors can also improve the look and value of your property. Every dollar invested should be money that you can recoup down the road. Landscaping matters. It can either be colorful and welcoming, or look like something that people will want to avoid. The last thing you want is prospective renters who don’t even make it out of their vehicles when coming to look at your property. However, this can be an easy fix. Plant some flowers, put down some sod where those large patches of dirt are, and trim those bushes and trees. Look for anything that can increase the curb appeal value. Don’t forget about siding and paint, clean windows and shutters, and anything else that can make a good (or bad) first impression. This one probably defies the simple label we attached to this section, but it doesn’t necessarily have to. Remember those high-use areas we mentioned? How much would it cost to add a half or full bath? Is that money that could easily be recouped by raising rents? You could also add some storage areas, build a deck or screened porch, or finish the basement and turn it into a livable space. 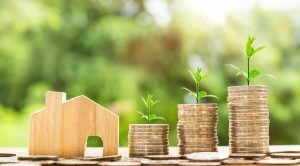 While these value-increasers will cost more upfront to execute, they’ll also add tremendous value to the property that should also continue to appreciate long term. There are numerous reasons why maintaining your properties makes good sense. Just don’t forget to protect yourself at all costs, whether that involves maintenance, liability insurance, or by addressing the fine print in lease agreements and other contracts. What Makes a Good Retirement Property Investment?